The first keyboard that I ever purchased I actually still own. I purchased this about 20 years ago now and it was a Yamaha. The Yamaha P-515 is a new digital piano and it is meant for the skilled or experienced pianist looking to upgrade to a quality stage piano. I really think this is a great keyboard and you can check read more reviews on Amazon at the link above. With that being said, this has lead to me being a fan of Yamaha digital pianos as they are durable and quality keyboards. Why Is The Yamaha P-515 Considered A Stage Piano? It is considered a stage piano because its main purpose is to provide the musician with the closest feel to a piano possible. Stage pianos are used by all sorts of professional pianists because they are a lot lighter than acoustic pianos, yet they still give you a great feel and sound. 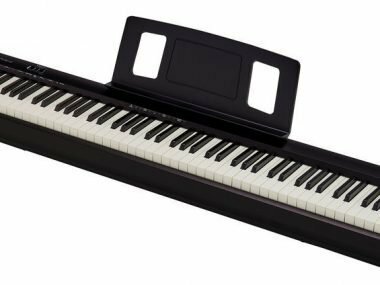 The Yamaha P-515 is a stage piano that is going to be a little more expensive, however, it is also a keyboard that you really don’t need to upgrade. Yamaha has had a lot of experience building digital pianos over the years and their P series is quite popular and for good reason. The P-515 takes off right where their last left off. 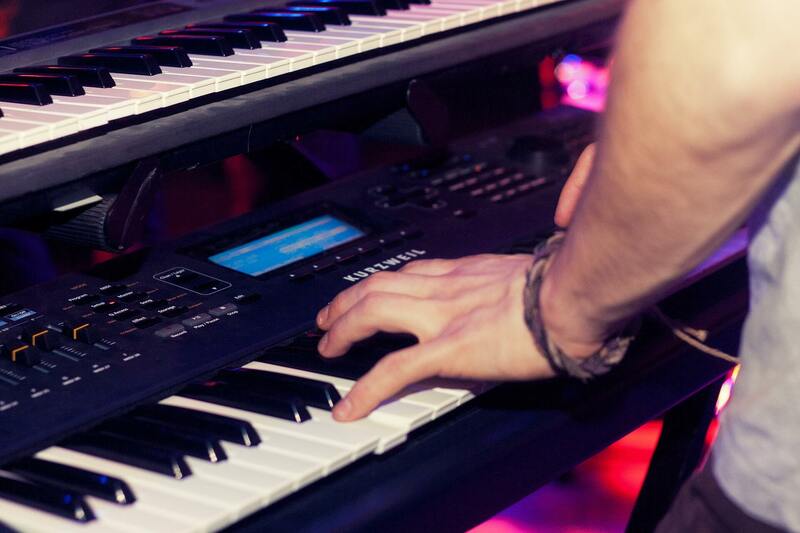 A stage piano will typically be more expensive than a keyboard just because they play so close to an acoustic piano. While I do love this digital piano, I recommend checking out the Roland FP-10 as well. It is a little cheaper, but I also really think it’s great. This has a fantastic key-bed that feels supernatural to your fingers. As a pianist who has spent many years playing on digital pianos, real pianos, and just keyboards, this ranks up there with some of the best ones I’ve played. 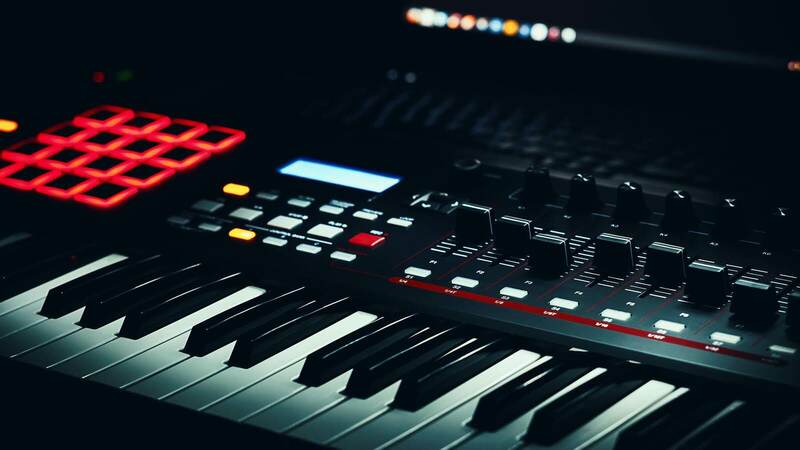 I put together a very in-depth list that has the best digital pianos in 2019. Check the post out at the link above. What I like in the P-515 is that it feels natural. This is said about a lot of digital pianos, but for anything around this price range, it is hard to find. I was really shocked when I first sat down to play this keyboard. They make the keys by drying out the wood in order to create a synthetic ivory-like feel. This specific key-bed is called the natural wood x action key-bed. The action that is provided by this keyboard is spot on as well. If you’re a musician who is looking to do some gigging and plays mostly acoustic sets or uses mainly organic sounds, the P-515 would cover your needs. Remember this is just a digital piano so it’s not going to have a million crazy sounds. However, the sounds that it does have, in specific; the piano sounds are great. The samples are Bösendorfer Imperial concert grand samples. This is very sleek in its design compared to other keyboards. This is essential when doing some gigging and not having to lug around an overly bulky instrument. What’s The Main Difference From The Yamaha P-515 And Its Predecessors? The feel of the keys and the samples of the pianos. This is a professional instrument and you realize it the moment you start playing on it. When you buy a cheaper keyboard you can instantly feel the poor quality key-bed and key action. Looking for a keyboard that isn’t as advanced by Yamaha? I spent countless hours researching my favorite Yamaha beginner keyboards. You can read more at the link above. On top of that, the durability of the speakers and the power of the speakers is a big difference with this keyboard. The wooden key-bed feels really close to an actual piano and I know a lot of brands say this, but this in specific really does feel quite real to the touch and sound. If you’re digging this keyboard, I highly recommend checking out the new Yamaha CP 88 digital piano. When I was 9 I began taking piano lessons. 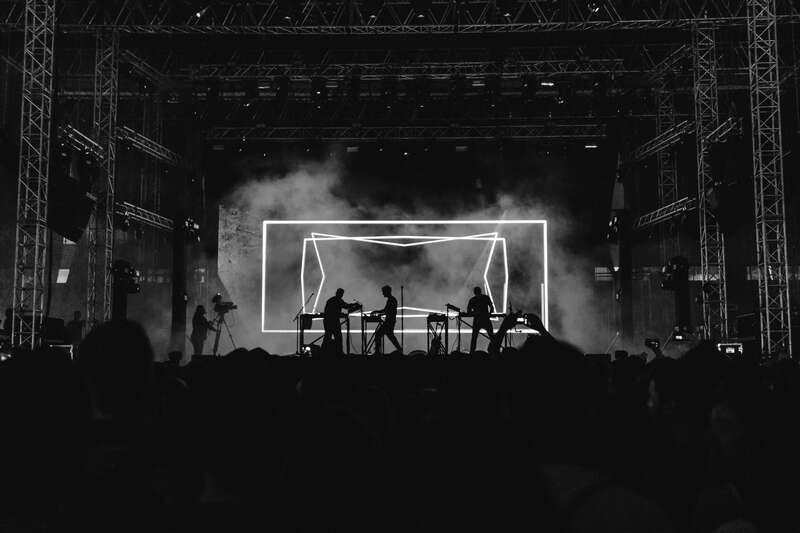 For the last 20 years, I have been developing as a musician and I have spent the last 10 years playing in bands and touring. I have a passion for reviewing music equipment as I was never able to find information on products that was reliable. Don’t let people trick you when it comes to reviews as you will find information on the internet that is not always correct. 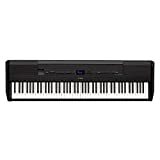 I think this is a great digital piano for the price. The key-bed feels like they could definitely up the price to something similar to what Kawai is charging for their instruments. I think the number one thing to look at with a digital piano is the key-bed along with the quality of the acoustic samples. This is where the main separation happens when it comes to keyboards. When you’re playing on a cheaper keyboard you can immediately tell and when you’re playing on a quality keyboard you can also instantly tell. Keep in mind that the P-515 is not made for beginners. That doesn’t mean you can play on it as a beginner in any way, it just means that the price range is going to be steep compared to a beginner’s keyboard. This is meant for the serious musician who has been playing for a while and has developed a preference for keyboards. I recommend this over any of the other Yamaha digital pianos as I feel the key-bed and piano samples take it to the next level. If you like this keyboard or have any questions leave them below in the comment section. Yamaha has recently come out with their newest stage piano, the CP88. Check out my full review on this product at the link. I hope you found this review helpful. If you have anything to add that I missed, let me know below!